In full LQ (low quality), we get to learn a few of the secrets the CIA doesn’t have a problem with the masses knowing about. The first enemy of the CIA were the Soviets. The CIA was willing to work with the NAZI’s to serve this end. The CIA retrained NAZI War criminals and sent them back to Germany to spy on the Russians. NAZIs were granted immunity from mass murder war crimes so long as they cooperated with the United States government. The CIA wanted to spy on Russia because they were thought to have mind control capabilities. The documentary also chronicles how the U.S. Government worked to overthrown Iran’s first democratically elected president Prime Minister Mohammad Mosaddegh on 19 August 1953. this was their first overthrow of a foreign government. The Vietnam War was also highlighted as a key time period in CIA operational history. 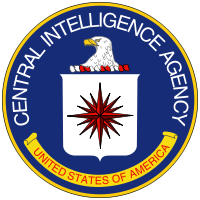 During the Vietnam war, the CIA used murder, and torture to obtaine intelligence.